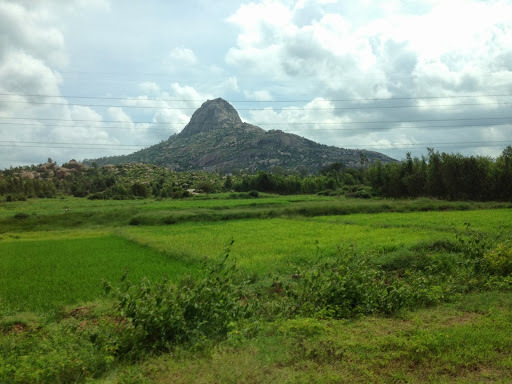 Shivaganga, site of a sacred Hindu temple. Crawling in traffic through the sprawling megalopolis, it seems the choking dust, the din of honking horns and jack hammers, and the stench of body odor, urine and rotting refuse will never end. And then, just when I’m beginning to wonder if this trek is even worth it, the first promising sign appears as the Shivaganga mountain peak juts up over the horizon. 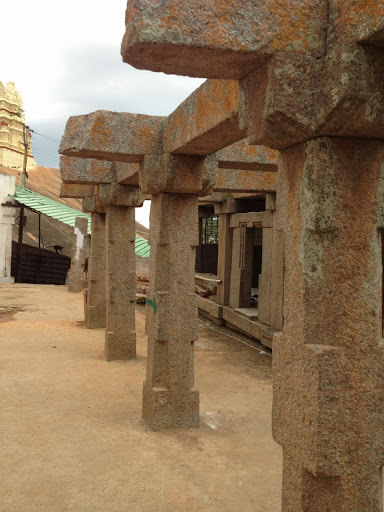 This is the site of an ancient temple in rural India, about 70 kilometers outside Bangalore. The traffic begins to thin as we enter what is known as the Hardware section of town, where many goods such as textiles and furniture and other necessities of everyday life are manufactured. Things really pick up (literally) when you connect with National Highway 4, a modern thoroughfare that originates on the southeast corner of India in Chennai on the Bay of Bengal, runs due west through Bangalore and then shoots northwest up to Pune (another high tech center) and eventually terminates in Mumbai on the Arabian Sea. Once on the highway, the chaos and cacophony of the city yields to a landscape of flowers and greenery, flowing in a light, pleasant breeze. Lush green fields of rice, corn and other crops seem to go on forever. And a beautiful, endless row of purple and white flowering bushes adorns the median strip of the turnpike. We eventually take an exit and Mahadev, my driver, tour guide and sometimes impromptu bodyguard, who has impressed me repeatedly with his ability to maneuver the vehicle through the most harrowing of obstacles, really begins to show his stuff. On a winding, twisted little farm road, he skillfully navigates around meandering cattle, potholes the size of a small swimming pools, makeshift farm tractors, and bicyclists and pedestrians weighted down with bananas, mangos, coconuts, sugar cane and cotton that they are taking to market. Mahadev happens to know this road well, since he spent 12 years as a tour bus driver on this route, which ends at the foot of the mountain. Hindus from around the world make the pilgrimage to the ancient shrine at the peak, to pay homage and pray. And he knows rural India well, too. He explains that he grew up in a village not much different than the ones we are passing through. Every region like this, he says, is made up of a group of villages. They will surround one larger village or town center, where all the services such as utilities are administered and commerce is conducted. Today is a market day and everyone is making the trip into the central village to buy, sell and trade. Mahadev’s parents and two brothers still work their farm, where they grow ragi (a millet that the southern Indians prefer over rice) mangos and coconuts and where they harvest silkworms cocoons. He did not explain how he came to leave the village, but did share that his marriage to his wife was arranged (this is still common for “uneducated” people, he says), and that he learned afterwords that the two are distantly related (also not uncommon, he says). We walk through town and the locals approach Mahadev and ask him questions in Hindi. I hear him say “America” and realize they are asking about me. I get looks and comments in the city and people are not shy about talking to me directly. But here, they are more deferential. Mahadev, in his neat uniform with epaulets, brocade cuffs and smart driver’s cap, commands authority, but at least he is approachable. 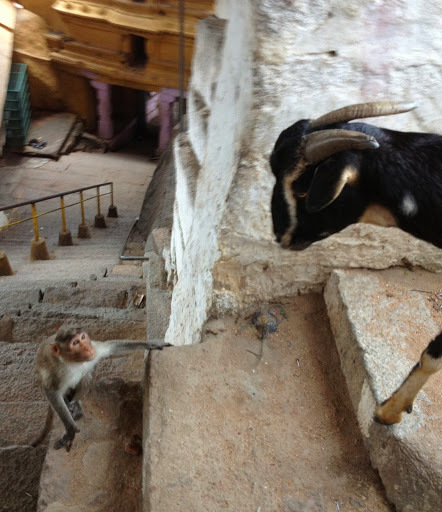 We climb the interminable number of steps that lead up the mountain, passing more monkeys and goats and beggars. 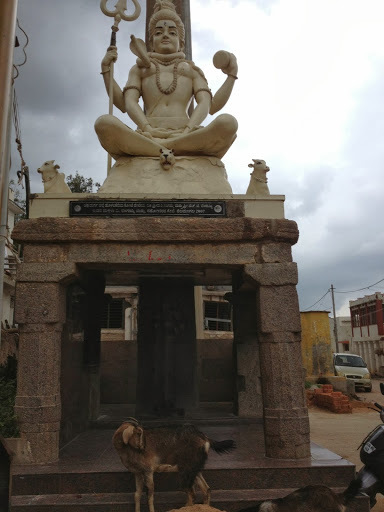 A pipe runs parallel to the steps and Mahadev notes that it carries water from a spring down to the village and that is why the mountain is called Shivaganga, or water of Shiva. It’s hard not to marvel at the output of buildings, monuments, shrines and statues that we pass along the way, all carved and hand-fitted out of granite and reminiscent, albeit on a smaller scale, of Stonehenge and the works of the Aztecs. Some of the steps have pictogram stories chiseled in them and Mahadev points to one. “Shiva,” he says, “a strong warrior,” and he flexes his bicep to make the point. 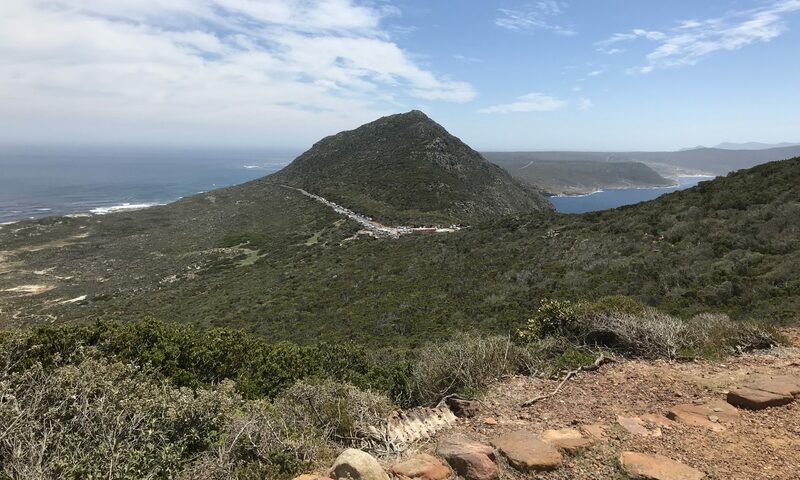 We reach the top, winded and a bit light headed. As if on cue black clouds darken the sky and Mahadev points. “Going to rain,” he says, and we descend quickly to beat the weather. We make it back to the car just as the first drops begin to fall and close the doors, narrowly escaping the torrent that follows. “I think Shiva showed us who’s boss,” I say, and Mahadev smiles. He appears pleased that I learned something.